On first glance it could pass for a sweet rice pudding with cherries and mint, (now, there´s an idea for a dessert) - which this is not. This has a powerful blast of sweetness and acidity when biting into the cherry tomatoes which is a good contrast of flavor to the salty anchovies. 1. Heat half the oil from the anchovies in a saucepan. Add the anchovy fillets and onion and cook for 5 minutes to soften. 2. Add the garlic and cook for 1 minute more. 3. Add the risotto rice, stir to coat in the oil, then cook for 2 minutes until the grains become translucent. 4. Add the vegetable stock, a ladle at a time, making sure the vegetable stock is absorbed before you add the next and stirring continuously while cooking. Once you’ve added half the stock, tip in the cherry tomatoes. 5. Continue cooking and adding the vegetable stock until the risotto is cooked but still has a little bite. 6. Season to taste, turn off the heat, put a lid on and leave for 5 minutes. 7. 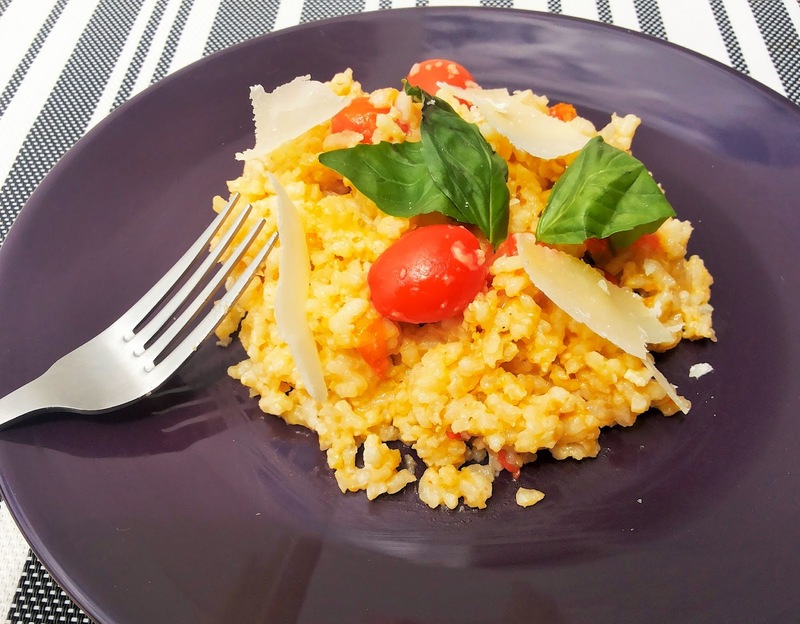 Serve the risotto with fresh basil leaves and shaved Parmesan.